The ongoing theme of Turbo Camaro is to add modern components while keeping a classic look. This concept can become a challenge and really test build intentions. 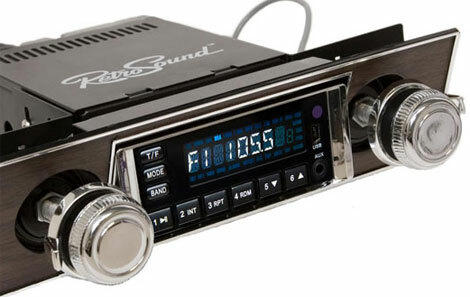 Stereo systems can be very important to passengers as they provide entertainment and can set the mood of a drive. That being said, stereo technology has changed since 1967 and a deck from that era wouldn't be acceptable in this car. If you're looking for a classic stereo but don't need an original, this is a great option. If you have any questions about it or need help with the install. Send us an email or message on any of the social media outlets.